Patented Variable Face Thickness (VFT) Technology takes ball speed to the edge of the legal limit. Titanium face is robotically plasma-welded to the body using a precision manufacturing process which ensures face thickness is controlled to tight tolerances. At address, the subtle keels of the soleplate rest on the turf for ease in aiming the club face and stabilizing the club head. Face 10 percent larger than the Big Bertha Titanium 454 driver allows Callaway engineers to move even more weight to resist twisting from heel to toe and from sole to crown. Driver was 7/10 in all categories and I was impressed by the condition, I would have rated it higher. My driving has been the most inconsistent part of my game recently but after a few sessions on the range and course I'm striking it better than ever. I even had a friend (12 handicap) test it and he was also impressed. This club is in good condition and still looks nice in the bag. I bought this as a replacement for a really old cheap small head metal driver and the difference is staggering. So much easier to hit long and straight and very forgiving. It is a very loud club and will attract some attention due to this but its no problem. will be looking for some matching rescue woods i think. Am really enjoying using this driver. Am getting more consistent results. Sounds really good off the face. And at a bargain price. Thank you Golfbidder. 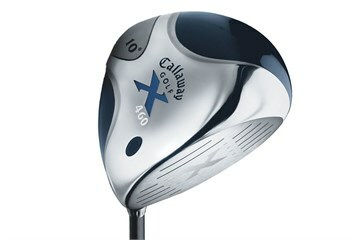 I really like my new callaway X 460 driver,i was out the other day and out of all my drives not one went rong on me everytime down the middle of the fairway,thanks golfbidder.